Jasminocereus thouarsii var. thouarsii (F.A.C. Weber) Backeb. 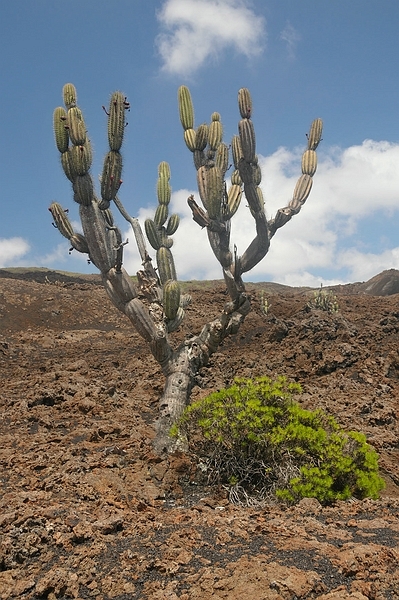 Jasminocereus thouarsii (Candelabra Cactus) & Darwiniothamnus sp., Volcán Chico, Sierra Negra, Isabela. Photo: Frank Bungartz, CDF, 2009.